The joint venture will see the manufacture of both solar-powered and electrical golf carts. Both lead acid and lithium ion battery-powered vehicles will be manufactured as part of the venture. 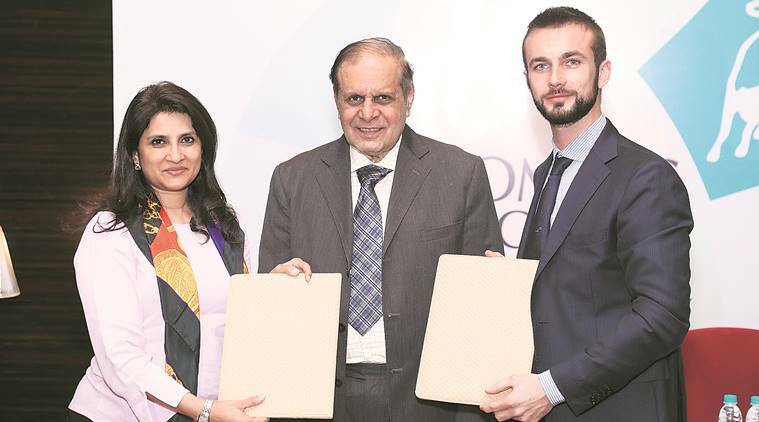 Pune-based Kinetic Group’s Kinetic Green Energy and Power Solutions has entered into a joint venture agreement with the Italian company, Tonino Lamborghini SPA, for design and manufacture of premium golf carts. Sullaja Firodia Motwani, founder and CEO of Kinetic Green Energy and Power Solutions Limited, said the first batch of golf carts would be rolled out from the Ahmednagar plant of Kinetic by September next year. Pegged at $2 billion, the golf cart market has reported year-over-year growth of 8 to 10 per cent. “North America and Europe are major markets for such off-road vehicles. These carts are used as on-campus vehicles for several purposes, including site seeing,” Motwani said. The joint venture will see the manufacture of both solar-powered and electrical golf carts. Both lead acid and lithium ion battery-powered vehicles will be manufactured as part of the venture. The Kinetic Green will have75 per cent stakes in the venture, while the rest will be owned by the Lamborghini group. The Kinetic Green will have an exclusive licence for 10 years for the vehicles. In the first phase, the vehicles will mainly be targeted for India, China and the US markets, followed by the rest of Asia and Europe. Latin America and other markets will be targeted in the third phase. The Kinetic Green has entered the electric vehicles category three years ago and till date have sold 25,000 vehicles, most of which are three-wheelers. The group has appointed around 200 dealers and expansion plans are in the offing. Ferruccio Lamborghini, CEO and vice-president of the Tonino Lamborghini SPA, said the joint venture would see leveraging of technology by both the companies.